Sheer shades are one of the most popular window coverings in Canada, combining the functionality of blinds with the soft look and elegance of shades. 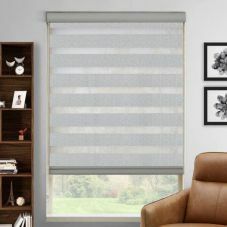 Select Blinds Canada features two main types of sheer shades. Zebra shades are made with two pieces of fabric, which both have alternating panels/bands: one solid color band followed by one sheer band. 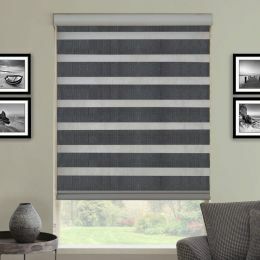 When the bands on both pieces of fabric are matched together, you get the look of horizontal blinds when open, including an outside view and natural light filtering into the room. To prevent light from entering and increase privacy, simply rotate the fabric so the solid colour bands fill the entire shade, giving the look of a traditional roller shade. 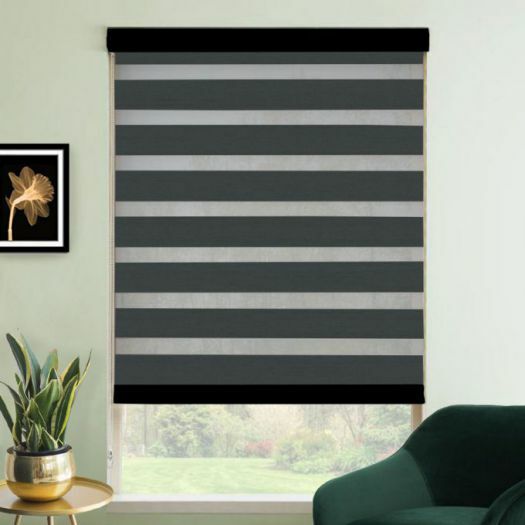 Zebra blinds are a top-selling and affordable sheer shade choice which complements any décor. 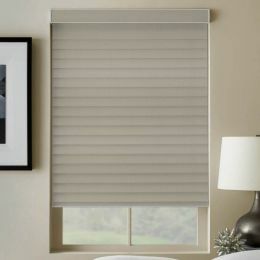 Similar to the well-known Hunter Douglas silhouette shades, Select Blinds Canada’s sheer shades are designed with horizontal fabric slats that are suspended between two layers of soft, translucent material. These shades give any room a sophisticated designer look. 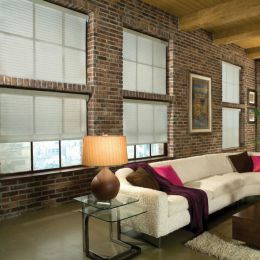 These sheer shades also offer the benefits of blinds. 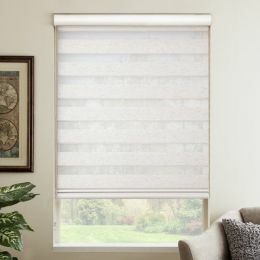 Just tilt the horizontal fabric slats to open and close the blinds, while the two layers of sheer fabric stay in place, allowing light to filter in the room while blocking out damaging UV rays. Choose between a wide variety of colours, patterns and fabrics on our collection of Zebra Shades and Sheer Shades. Light Filtering or Room Darkening: Choose a light-filtering material if you want to let natural light in and fill the room with a soft glow. If you would rather block out a lot of outside light, we have many room darkening fabrics from which to choose – a good solution for bedrooms, nurseries and home theatre rooms. Cordless Lift Systems & Motorization: Many of our sheer shades also offer cordless lift systems – the safest choice for any home with kids, while also providing a crisp, clean look with no dangling cords. For added convenience, choose one of our motorized/automated lift systems which allows you to lift, lower and tilt the slats with the touch of a button.